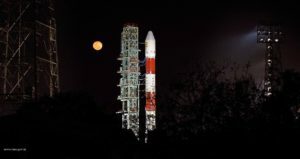 Sriharikota (Andhra Pradesh) : India on Thursday put into orbit its own Hyper Spectral Imaging Satellite (HysIS) — an earth observation satellite — in text book style. 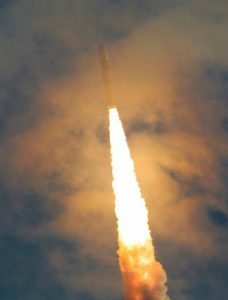 The Indian Polar Satellite Launch Vehicle Core Alone (PSLV CA) rocket variant lifted off with 31 satellites — the HysIS and 30 foreign satellites. The notable aspect of the rocket mission is the placing of the satellites in two different orbits — one at a higher altitude and the others in a lower altitude. While the HysIS has been placed in its intended orbit, the remaining 30 foreign satellites will be later ejected at a lower orbit. The primary goal of HysIS is to study the earth’s surface in visible, near infrared and shortwave infrared regions of the electromagnetic spectrum and also for strategic purposes. 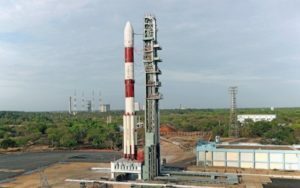 At 9.58 a.m., the four staged/engine PSLV-CA rocket, standing 44.4 metres tall and weighing about 230 tonnes, blasted off from the first launch pad. With the fierce orange flame at its tail, the rocket slowly gained speed and went up enthralling people at the rocketport. A more thrilling aspect came in when the rocket’s fourth stage/engine was cut/switched off in just over 16 minutes after the lift off. 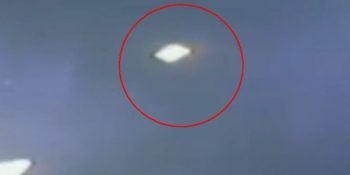 A minute later, the Indian satellite HysIS with a mission life of five years was placed in a 636 km polar sun synchronous orbit. The rocket will then be brought to lower altitude of 503 km to put into orbit the balance 30 foreign satellites. Post HysIS ejection, the rocket’s fourth stage will be restarted at 59.65 minutes after the lift off. The co-passengers of HysIS include one micro and 29 nano satellites from eight different countries. The rocket will be switched off and on twice before the final foreign passenger is put into orbit about 112.79 minutes after the rocket’s lift off. All the foreign satellites were placed in a 504 km orbit. 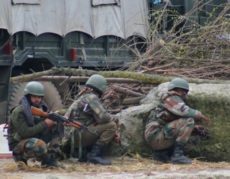 The Indian Space and Research Organisation had earlier carried out a satellite mission spread over two hours in January.